After numerous tastings, the final blend of this great wine will be decided. Some plots are automatically included because of their consistent quality: they give the wine its heart, its underlying structure, so to speak. Others are selected depending on the quality of the vintage. They all contribute to creating a balance which produces a wine that is complex, concentrated and elegant and with good keeping qualities. A very fine vintage which combines strength, colour and perfect maturity with freshness. Produced from 36% Cabernet-Sauvignon, 54% Merlot and 10% Petit Verdot, the 2014 vintage enjoyed gentle fermentation and regular, moderate punching-down. Malolactic fermentation was carried out in oak with 35% of new barrels. The wine was then aged in these casks for 14 months. Ruby red in colour, the 2014 offers an intense nose of blackcurrant, blackberry and raspberry, with great maturity. Subtle undertones of roasted mocha give it great elegance and added complexity. The palate, with its perfect balance of alcohol and acidity, is not heavy or aggressive in the mouth. An intense attack builds over a tight, silky tannic structure leading to a long, dense, aromatic finish. The whole is elegant but powerful. Enjoy it with grilled beef or leg of lamb. It will age for 10 years or more. 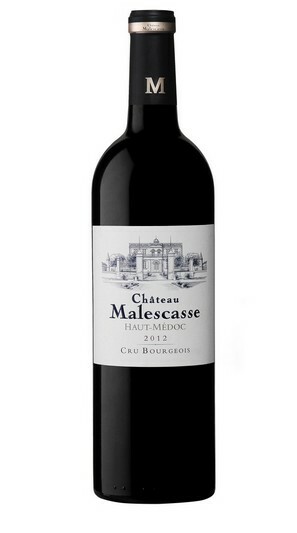 This was a mixed year for Bordeaux, but thanks to a process of careful monitoring, forward planning and selection this Château Malescasse is fruity, with a distinct liveliness, and is well-rounded. In short, it has a great deal of charm. 41% Cabernet-Sauvignon, 48% Merlot and 11% Petit Verdot make up this blend. Short but frequent pumping-over combined with racking during the fermentation process enabled us to produce a fine, silky end product. Malolactic fermentation was carried out in oak with 35% of new barrels. The wine was aged for 12 months on fine lees. Clear garnet in colour with ruby overtones, the 2012 offers a nose of red and black fruits, with spicy aromas which evolve into elegant balsamic notes. 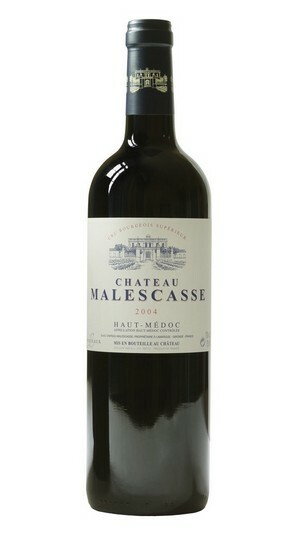 A frank, rounded attack on the palate gives way to an elegant, flavourful wine with nicely softened tannins. The flavours of fruits of the forest develop into fine smoky notes, with good length. You can enjoy it straight away with rib of beef or roast poultry. This wine will age for 5 or 6 years. The 2011 growing season yielded beautiful, silky-textured wines in the classic mould. 42% Cabernet-Sauvignon, 48% Merlot, 6% Cabernet-Franc and 4% Petit Verdot were selected. After a preliminary cold maceration followed by 3 weeks’ fermentation, malolactic fermentation was carried out in oak of with 35% of new barrels. The wine was then aged for 12 months in those barrels. Clear garnet in colour with ruby overtones, the 2011 presents a very fruity nose in which raspberry and cherry take the lead, followed by spicy toasted notes. 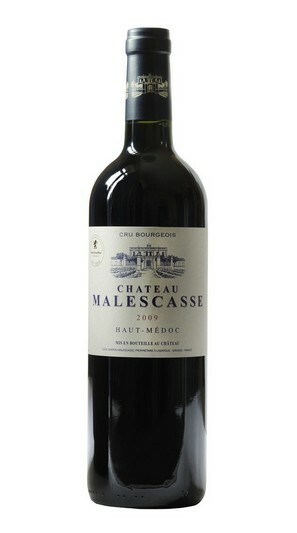 The palate is robust and supple, with fine, elegant tannins, and progresses gracefully to a velvety finish rich in fruit. A perfect accompaniment to roast chicken. Ready to open right now, it will keep for 5 years in the cellar. A great vintage which produced elegant, robust wines with a wealth of phenols. With 44% Cabernet-Sauvignon, 47% Merlot, 3% Cabernet-Franc and 6% Petit Verdot, this vintage was given 72 hours of cold maceration prior to fermentation, and was then fermented for 3 weeks with regular racking. Malolactic fermentation was carried out in oak with 35% of new barrels. The wine was then aged for 12 months on fine lees. Garnet in colour with a hint of amber, the 2009 has a nose of great aromatic complexity: Well-ripened red and black fruits blend harmoniously with aromas of cocoa beans, truffle and liquorice. The deep, flavourful palate floats on a swirl of soft, dense, rounded tannins. Full-bodied, smooth, generous and with great length, it will retain its ability to please for several years. Serve with rack of lamb, game or grilled beef. Perfect to drink right now, but will age for another 7 years without any problem. 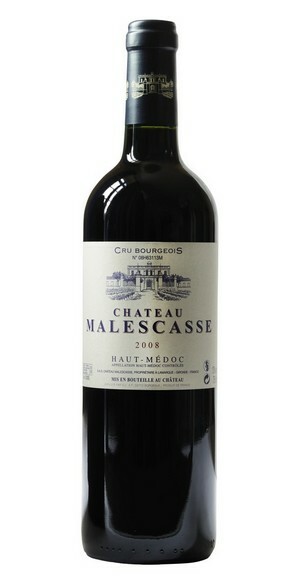 This vintage can be counted amongst the good, or even very good, years in the Médoc. Complete, well structured and balanced. 48% Cabernet-Sauvignon, 43% Merlot, 6% Cabernet-Franc and 3% Petit Verdot, the 2008 vintage was vinified with cold maceration before fermentation. Regular racking during fermentation yielded a fine, mature product. Following malolactic fermentation in casks the wine was aged for 14 months in oak with 35% of new barrels. With its intense garnet colour and ruby overtones, the 2008 seduces straight away with a powerful nose which develops rich aromas of mocha, cocoa beans and truffles followed by ripe red and black berries. The round attack reveals flavours of ripe fruits, spices and torrefaction within a well-constructed and balanced whole, with fine, smooth tannins. 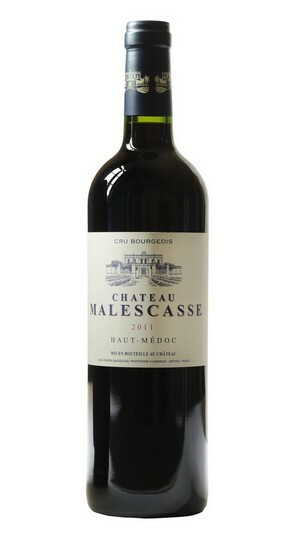 Ideal with marbled red meat such as sirloin steak. Perfect right now but will age for another 5 years. A vintage ripe for rediscovery. Varying between periods of intense heat and cooler spells, it produced dense, complex wines with fine rich tannins. 49% Cabernet-Sauvignon, 43% Merlot, 5% Cabernet-Franc and 3% Petit Verdot give this blend its superb balance. Vinified in the traditional way in stainless steel vats, it was cold macerated prior to fermentation. Three weeks of fermentation were followed by malolactic fermentation in casks, with 35% of new barrels. The wine was then aged in these casks for 14 months. Garnet in colour, with a touch of purple, the 2006 vintage reveals a very expressive, elegant nose with notes of torrefaction, mocha and truffle which mingle with spices and stewed fruit The palate, with its well-defined and smoothly integrated tannins, starts out with a solid breadth and progresses to a long and silky finish with notes of spices and undergrowth. Enjoy it with venison stew or pheasant with mushrooms. Can be enjoyed now but has the potential to age for 3 or 4 years. A vintage which showed great freshness and yielded harmonious wines with well-defined fruit. 37% Cabernet-Sauvignon, 53% Merlot, 7% Cabernet-Franc and 3% Petit Verdot. Vinified in the traditional way in stainless steel vats, it was cold macerated prior to fermentation. Three weeks of fermentation were followed by malolactic fermentation in oak with 35% of new barrels, in which the wine was then aged for 16 months. Garnet in colour, with shades of purple, its expressive nose reveals heady nuances of spices, ink, undergrowth and graphite. 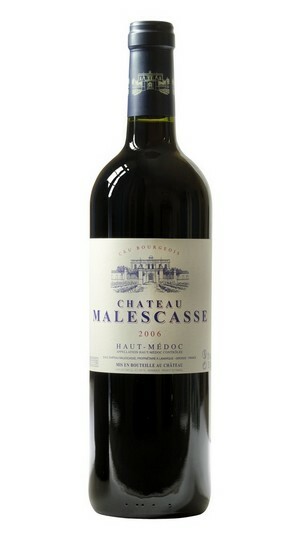 The palate, with well-integrated tannins, is elegant and bracing and follows through into a fresh and elegant finish. Ideal with poultry and mushrooms or lamb shank.